“Gentile Folly: The Rothschilds,” Arnold Leese Here. 1776: The Jew, Adam Weishaupt, who “converted” to Roman Catholicism but soon renounced it, forms the Illuminati in the Lodge of Theodore in Munich Germany. ~ Because of Weishaupt’s numerous contacts throughout Europe of high-positioned functionaries, Meyer Amschel Rothschild (1744-1812), befriends and funds the Jew, Adam Weishaupt. 1796: Meyer Amschel Rothschild hires Sigmund Geisenheimer as his clerk in his Frankfurt office. Geisenheimer, who had wide-ranging Masonic contacts that criss-crossed Europe, was a member of the French Grand Orient Lodge of Freemasons called L’Aurore Naissante Lodge. 1800: With the help of Daniel Itzig, Court Jew to Frederick William II, and the wealthy Jewish merchant, Isaac Hildesheim, who changed his name to Justus Hiller, Sigmund Geisenheimer founds the Judenloge in Frankfurt. 1802: Solomon Rothschild (1774-1855), son of Mayer Amschel Rothschild, becomes a permanent member of the Judenloge. The old established Frankfurt Jewish families become members in the Judenloge including: the Adlers, Speyers, Reisses, Sichels, Ellisons, Hanaus, and the Goldsmids. ~ Soon other influential Jews join the Judenloge such as Michael Hess, later to become the Principal of the Reformed Jewish School known as, Philanthropin, & Dr Karl Ludwig Baruch, a literary historian, who changed his surname to Borne. 1803: Solomon Rothschild decides to expand his contacts by joining the French L’Aurore Lodge that had adopted Weishaupt’s Illuminati ideology. 1803: Nathan Rothschild (1777-1836), son of Mayer Amschel Rothschild, joins the Lodge Of Emulation in England. 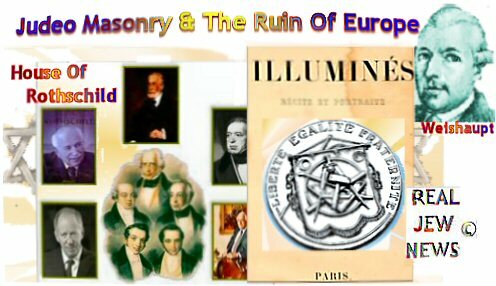 His brother James Rothschild, (1792-1868), becomes a 33 Degree Mason in France in 1815. 1816: Johann Christian Ehrmann, a former Frankfurt Mason, warns the German people in his pamphlet, Das Judenthum in der Maurerey, (The Jews in Masonry), that the Frankfurt Jewish Masons wanted a world republic based on humanism. THE FRENCH REVOLUTION OF 1789 came about under the influence of Judeo Masonry and the subversive society behind it known as the Illuminati. This is now an established fact. Seeing that the Jews obtained emancipation in France only 2 years after the Revolution and that the new Social Order imposed by the Revolution summed up in the catch-cry “Liberty, Equality, Fraternity,” (an impossible and contradictory ideology), was based upon Jewish Anti-Christian principles unheard of in Christian Europe, it is necessary to see what relationship the wealthy Jews of the time had with regard to the outbreak. Chaim Veitel Ephraim (1703-1775): Berlin, Court Jew to Frederick the Great. Daniel Itzig (1722-1799): Berlin, Court Jew to Frederick William II. Hertzel Cerfbeer (1730-1793): France, Jewish financier of the French army. Mayer Amschel Rothshchild (1744-1812): Frankfurt, Jewish Money Lender. Benjamin Goldsmid (1755-1808): London, William Pitt’s financier. Abraham Goldsmid(1756-1810): London, Benjamin Goldsmid’s brother. Moses Mocatta(1768-1857): London, partner of the Goldsmids and uncle of Sir Moses Montefiore. Of The Holy Monarchs Of France, King Louis XVI & Queen Marie Antoinette! THANKS TO JUDEO MASONRY and its promulgation of Anti-Christian humanism, the demise of Christian Europe is now almost complete. — “Christianity had subdued the barbarous nations of Europe: the Angles, Saxons, Jutes, Celts, Franks, and Teutons, changing them from a savage to a civilized condition. Christian Europe victoriously rolled back the tide of Mohammedan conquest, standing forth as the teacher of all in every branch of national culture and bestowed on the world the gift of true liberty. There was once a time when States were governed by the Gospel of Jesus Christ. Then it was that the power of Christian wisdom had diffused itself throughout the institutions, laws, and morals of the people. If We Convert & Stop The Jews NOW! An essay published last year (Sept 6, 07) in Today’s Catholic World bears closely on this matter and narrates the other side of The Revolution. From Church history, it is made clear that the reason why Judeo-Masonry has had such amazing triumphs is because the nations of Christendom and the Church have refused the Divine assistance that has been offered (time and again). Todays Catholic World is published with the official approbation of the hierarchy of Pope Gregory XVII - the hostage pope of the twentieth century. “Over 100 years before the Masonic Revolution in France (1789) ‘overthrew both throne and altar on the tomb of [the Grand Master of the Knights Templar], Jacques de Molay’(1), our Lord appeared to a young nun of the Visitation of our Lady at Paray-le-Monial, St Margaret Mary Alacoque, then 24 years old. Our Lord came to reveal to her His Sacred Heart. “In a letter to her superior, St. Margaret Mary wrote: ‘the Sacred Heart had even greater designs’ than the desire for the conversion of souls and the desire to be enthroned in family homes. ‘He desires then, it seems to me,’ she wrote ‘to enter with pomp and magnificance into the palaces of kings and princes, therein to be honoured as much as He has been despised, humiliated and outraged in His Passion’. 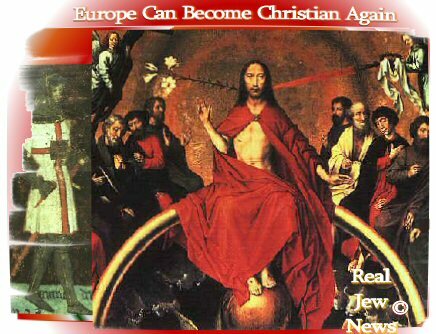 The banners of France will change again and they will display the Sacred Heart of Christ the King. Then the times and tides of this battle will change again. Victory will be ours. (1) Albert Pike (1871) Morals and Dogma p. 823-34. Enough dogma how about we all sit down and share a meal together ? Okay - good idea. Then both. It is quite true that Cardinal Siri was elected Pope in 1958. However, he had a choice to accept and fight/excommunicate the heretics and modernists (Jews,etc) in the church. Unfortunately, he decided to go underground and wait for Christ’s assistance. It never came and the Catholic Church has been disintegrating ever since. There is only misery ahead and the few that survive will cry our for mercy and the Mother of God will save a few according to God’s will. The Church will be rebuilt, but it will be quite different from what we are used to as Catholics. In essence, this is the message of Fatima and why even Sister Lucy never argued against the Second Vatican council and other reforms. All of this had to happen. Wait until you see what’s just around the block. There will not be a Catholic Monarch. God’s justice will eliminate the wicked and a new path will be established by Christ. We agree that Cardinal Siri was elected Pope in 1958 and that as Pope Gregorious XVII he was pope in law (de jure) 1958 - 1988. What you perceive as the Holy Father’s choices really have no bearing on the matter. He was not then or nor is he now subject to either your judgement or mine. Do you pray for the repose of his soul? I will only make the observation that history affords us no examples of papal prisoners such as Pope Paschal II or Pope Eugene I fighting and excommunicating. Jail is jail, even if you are the pope. Those who wait upon the Lord in faith are never confounded because Christ’s assistance inevitably comes. And for Pope Gregory XVII, it did come in the person of Fr. Peter Khoat van Tran and others. 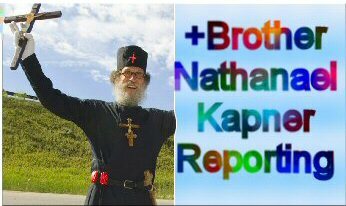 You can read this story on www.thepopeinred.com. I disagree that there is only misery ahead. There is, however, decision and great deeds and great sacrifices of faith ahead. We are not fatalists waiting for our Lord to strike the wicked. Pope Gregory XVI Mirari Vos, Aug 15, 1832 A.D.
Fr. Peter Khoat van Tran in his Easter message. You do not know Our Lady of Fatima’s Third Confidence to the 3 shepherd children of Aljustrel. The anti-papacy knows it, indeed they are the custodians of that sealed statement, classified ‘never to be revealed.’ But Pope Pius XII knew it and communicated it in confidence,to among others: Cardinal Siri. Pope Gregory’s hierarchy have made statements on the Third Secret, knowledge of which could only have been directly communicated by the hostage pope or by Our Lady, herself. Sister Lucia of Fatima never spoke of the Vatican II conciliar decrees because as you might have observed the photos of Sr. Lucy before her last interview in 1957 and after the Council are not the same person. I doubt that the surviving Fatima seer was permitted to live past 1960, because after 1960 she was free to speak openly of the Third Secret. With everything at stake for the foes of the Church and their anti-papacy, it was imperative that the Third Confidence remain sealed - because 45 years before the fact IT INDICTS THEM. No one knows the Day of the Lord, when the reigning Chist our King will strike his foes. No one knows when this event will fall in relation to other events that are certain. The sequencing of certain events probably depends on prayer, reparation, penance and conversion. The Three Days of darkness ( to which I assume you refer ) will come, just as the Passover came for the Hebrews hopelessly enslaved under the Pharoahnic empire. Equally certain is he restitution of all things. I find it strange that you are not familiar with the prophecies approved by the Church, especially prophecies made by many saints, throughout the centuries of two millenia regarding restitution of the Catholic monarchy. Yves DuPont has an anthology of these prophecies in his work: Catholic Prophecy. Judeo Masonry & The Ruin Of Europe. But no one has contributed to the ruin of Europe as much as the 5 Freemasonic, Jewish, anti-Popes. A case can be made that Cardinal Siri was elected Pope, but a case can also be made that he rejected these elections, and that he didn’t take it serious. I have a book written by Siri, and all I can say is that I wish he had taken that office over as Pope. Some claim that he rejected these elections because his family was threatened to be killed by the Jewish Mafia. It’s up in the air for me what the truth really is about Cardinal Siri. On this website they mention over and over,a reference to the Vicar of Christ, Saint Paul VI. Apostate Rome becomes the See of the two AntipoPes John Paul I and John Paul II, produced in a conclave of cardinals in their majority freemasons, and assisted by Satan. It is the serpent of which the Apocalypse speaks: the Official Roman Church. The problem with this by me is that John 23, Paul 6, and John Paul 2, are all devils, they are all Freemasons ( and possibly Jews ), and non of them were Catholics. Paul 6 was buried in a simple wooden casket with no crucifix, cross, christian symbols,etc. He was buried like a Jew. He had the Jewish Ephod on his garments. His mother was a Jew and a Freemason. This is shown on here grave stone. Lots of information to question John 23 of being a Freemason. John Paul 1 believed in birth control. He was one of the leaders trying to promote this. He could have worked for planned paretnthood! I also agree with Joe G.that we are heading in the future for terrible times. We may not have Popes as a punishment from God for our sins. Fatima has a message that we cannot be saved Outside of the Catholic Church! ( Read Paul Johnson’s Fatima book. Without our entrance into th Church we will perish in Hell-Fire ( a vision of Hell was shown in order to remind us that we need to do much prayer and penance for our sins ). An example for Catholics is Japan. There were no Bishops and Priests for Catholics in Japan for a long, long time. But the Japanese Catholics held the FAITH! They baptized their own children and taught, and passed on the Catholic Religion without buildings, Bishops, or Priests. When a missionary showed up after hundreds of years thousands of Catholics sought him out! He couldn’t believe his eyes! In other words in these black days, we don’t need a Pope, a Bishop, a Priest to carry on our Catholic Faith. Father Paul Trinchard has booklets on how to be a Catholic in these days without the Church. Don’t forget that the three days of Darkness hasn’t happened yet! These evil Jews, and other’s will be killed by the Lord, just as he did in the PASSOVER! After the three days of darkness - St.Peter and St.Paul will elect the next Pope. This Pope will most likely have been born a Jew, like Peter and Paul. His name will be Peter the 2nd. He will be the Holiest Pope since Pius 10TH, and completely restore the Catholic Church. Just like the 13th Century all who were not wiped out by the three days of darkness will be Catholic. The whole world will be Catholic. We will all worship the true God, the Blessed Trinity during the period of Peace predicted at Fatima. This is called a 1000 year period. A 1000 years is not necessarily a 1000 years, but merely means a long period. This is the period of Peace promised at Fatima. We will all worship as one with no wars. It will be the most glorious period ever on planet earth before the 2nd Coming. After this long period of Peace man will eventually grow evil again. Almost no-one will have the Catholic Faith, then the end will come.This last period will be the coming of the Man of Sin - the AntiChrist. We will all live under a World Police State, Most of mankind will be killed. We will all have to worship the Beast. The Two Witnesses Enoch, and Elijah will try to convert as many as they can to the Catholic Faith before the 2nd Coming of Christ. ( Remember Jesus says that hardly anyone on Earth will have the Catholic Faith when he comes )! The Great Monarch will wage battle with the AntiChrist in Jerusalem. He will be backed by Pope Peter 3RD. ( There will be three Popes named Peter, each for each member of the Blessed Trinity ). St. Malachys predictions are a fraud, and fool many. St. Peter says that the whole world will go up in Fire!. This is like a Nuclear Holocaust, multiplied many, many times. But most likely it will be merely the breath of Jesus that destroys the entire Earth. Than His 2nd Coming will take place to Judge the Living and the Dead. Living means those who were real Catholics. And Dead means all who were not real Catholics. A new Heaven and a New Earth will be created by Jesus. All who are saved will live Happily ever after with the beatific vision of the Blessed Trinity. The rest will burn in Hell. Amen. The thing that messes up almost everyone trying to put in order the coming of the AntiChrist is the promise at Fatima of a long long period of Peace. We are still in a period waging war against the Jews. Fatima hasn’t been fullfillied yet. Mary requested lots of Prayer and Penance. When this cup is filled for Heaven, than God will grant us the period of Peace. Because of this period of Peace ( many will live Godly liveS and be saved ), the end of the world will not come for a long, long times! P.S. Mel Gibson needs to make a movie of this. This would really tick the evil Jewish Hollywood moguls off. P.S.S. No one knows the events of the end-times in sequence. Not even the real Catholic Church. This is a great Mystery! Only God Knows this knowledge! People who state that the Catholic church has been taken over by Masons and Zionist Jews and then state in the same breath that you have to be a Catholic to escape hell - as the above poster has done - need psychiatric counseling in my view. Malachi Martin was also one of those. Jesus himself said “make charity to the poor your religion” using Jesus own words we see that the only church which fits this scenario is the Salvation Army. Again referring to the last judgement Jesus says: “I was cold and naked and you did not take me in and clothe me; I was hungry and you did not feed me and they replied when did we see you cold and naked and did not give you clothing and shelter; when did we see you hungry and did not feed you? and jesus answered” Whenever you did this to the least of my children, you did it to me; depart from me you evildoers into the fire prepared for the devil and his followers from the beginning of the world” - nothing about not being catholic there. What these confused people are referring to is when people hear about Christ through the power of the Holy Spirit and reject him then they cast aside salvation. and when all seems lost and people call on the name of the Lord they will be saved, again, nothing about being a Catholic there either. All of this is contained in the gospels which are very short books - and repeated three times. The fourth St Johns gospel is slightly different and longer and gives an added perspective.Therefore how anyone can consider himself an expert on Salvation who has not even read the basic gospel narrative I always find astounding. shalt loose upon earth, it shall be loosed also in heaven.” The salvation Army as far as I know doesn´t offer confessions, something that was set up by JESUSCHRIST (Yeah in John chapter 21 st, one of those short books in the new testament) or try reading this Matthew 18:17 ‐“And if he will not hear the church, let him be to thee as the heathen and publican.” Since you don´t seem to hold the true faith you are on your way to damnation with all those people whose works are empty, real mercy would be trying to save the souls of that people, that´s what Jesus taught!!!!!! Oh by the way Jesus himself said about the last days Luke 18:8- “But yet the Son of man, when he cometh, shall he find, think you, faith on earth?” So he didn´t mention at all good times for the true faith in the last days. Am no historian, but it is my understanding that Napoleon famously enabled France’s Jews greater liberty to travel from ghettos, and he met with Jewish elders’ council to formalize a liberal relationship. Thus, isn’t it ironic that the defeat of Napoleon is sometimes attributed in part (rightly or wrongly, I do not know) to Rothschild financing of Wellington. Was this a slanderous rumor, or a stab in the back, or just the random events of international intrigues. Who knows. How quickly after the Napoleon’s fall came Karl Marx and the Manifesto, and the Paris Commune (c. 1840) which, spiritually, has continued to displace the True Faith and to dominate Europe with a diabolical disorientation, to this day. The source of Satan’s power over Jews stems, I believe, from a fundamental fraudlence in the founding of Jewish identity itself, probably in Babylon. I think we should not trust the biblical accounts at face value, nor do I think the Lord did–there is much evidence to show that He accepted an entirely different canon based on the anti-Mosaic Book of 1Enoch. From this text comes a completely contrary Israel-centric Judaism (as opposed to Babylon-based), and the Son of Man tradition, and the authentic revelation about fallen angels and the Endtimes. This is not the place to expounds such matters, but I give you something to pursue if interest. Peace, Love and Joy to all who walk with our Savior. Catholic Monarchy will return. In the end the Immaculate Heart of Mary will Triumph. God will restore His Reign. Only the One Holy Catholic Church will triumph. It is of Divine Origin. Even though 3 /4 ths of humanity will perish in this chastisement, we must work and PRAY for the salvation of souls and conversion of sinners to the catholic Faith. Towards this end let’s devote all our energies. Cardinal Siri was the real Pope. This means that after 1989, the year of his death, we don’t know the true Pope. When the war against Rome will begin, and the false Church will be massacred, the real (secret) Pope will flee the Vatican with a few of his loyal cardinals, and anoint the coming great King of France, and the King of Germany. Then, after the Chastisement (three days of Darkness) the time of Peace will begin, and La Salette predicts this will only last for 25-30 years, then the Anti-Christ, the Monster from Hell, will disturb the peace. Wise point is being brought about. Inasmuch as Europe´s New Right is coming back to rational thinking, the movement is missing the starting point: the root cause of Muslim inmigration which is the consequence of the denial of the Palestine people existence, and of the depleting of oil and other resources around the Muslim world. Europe can reverse the tide siding with the Palestine cause, and setting an industrial base in the involved countries as they did it with China. Of course, Europe would not do it unless the ruling heads stop being picked from masonry which is the the root political cause of current misdoings. Nothing can be achieved to change the politics, either in America or in Europe, without the Masons first exposed as the single hand controlling media supported political parties around the world. It is easy to know when a party or a candidate belongs to the Judeo-masonic work: he or it gets a lot of media coverage. Then when the failure arises and the term expires, a new Judeo-masonic “star” appears on the opposite side, so people is changed but the script remains. It is all about keeping afloat the verb “making believe,” so dear to the Judeo-bank-ocracy in charge. What people don’t get, is that with each turn of the wheel they loose, being deprived of wealth, faith and rights, and the devil wins. To start with a change: every new massive demonstration should be done not in the nation’s capital main square but against the “national” Masonic temple, and every Masonic relative or “friend” should be comfronted and challenged to the truth of their betrayal: outsourcing, foreclosing, job losing, homosexuality and euthanasia, abortion, banking bail-outs, all in the need of banning of Christian symbols, only could be done by the worshipers of satan. I did not find out the real truth about the Inquisition and the Spanish Civil War until a few years ago. The Church and the Spanish government were justified and more merciful than their opponents. A country has the right to preserve it’s morals and defend the people from corruption. I hope that you would write some articles about modern day usury in the future. I believe most of the world’s debts, whether their personal, private, or national are bogus! It’s just plain usury and it’s immoral. All the nations should just refuse to pay and start printing their own money. The whore must be humbled, repent, and sin no more. If not, then she should be ostracized.